AMMAN: The United Nations said Sunday it began delivering aid to hundreds of thousands of Syrians through the Jaber-Nassib border crossing with Jordan, which reopened two months ago. In total, “369 trucks carrying 11,200 metric tons of… assistance for over 650,000 people” will be involved in the four-week operation, the UN’s humanitarian agency OCHA said. The “exceptional” delivery, which amounts to one-month’s worth of aid, would be carried out by six UN agencies and one international NGO, it added. 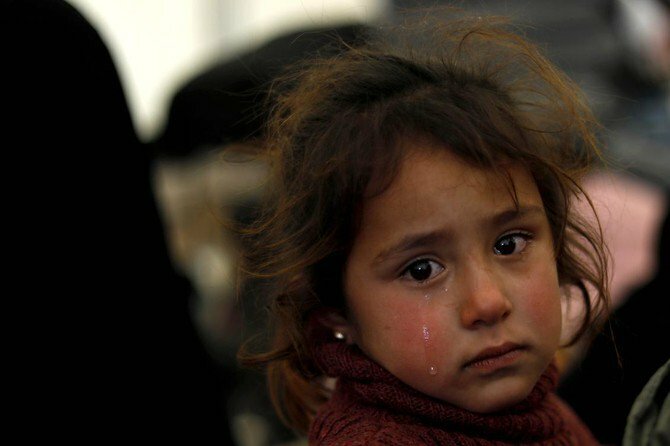 “This is a major logistical operation in an effort to mitigate the suffering of the Syrian people,” said Anders Pedersen, the UN humanitarian coordinator in Jordan. “We are working closely with our UN partners inside Syria to ensure this assistance reaches those who need it most,” Pedersen added. More than half the country’s 23 million people have fled, with 6.6 million of those internally displaced and more than 5.6 million going abroad, according to UN figures.